It’s Eric J. Guignard’s INDIE ARTIST APPRECIATION DAY! I have four new books that are teetering on the verge of publication under my small press, Dark Moon Books, and each is fortunate enough to be graced by amazing interior artwork. I love interior illustrations twofold: The visual elements are not only appealing on their own merit, but that they also add another layer to the stories they depict, providing a relatable and synergetic graphic. I spend a lot of time to find the right person for this, reviewing websites, portfolios, and reviews of artists, as finding someone “fitting” is not easy. Just like writing, artists have their own styles, their own voices. There are so many great artists out there, but sometimes they’re out of my price range, or their personalities are not a match to my own, or they just don’t follow through with commitments, or any number of other variables. But the following are some wonderful collaborators I’ve been working with of late, along with a shout-out of immense THANK YOU to each of them and links to their amazing work. Michelle is illustrating not just one book, but a series of books: EXPLORING DARK SHORT FICTION: A PRIMER SERIES (vol 1: Steve Rasnic Tem; vol. 2: Kaaron Warren; vol. 3: Nisi Shawl; vol. 4: Jeffrey Ford), with a very fun, whimsical, and dark style, Tim Burton-ess of etching! Steve is illustrating my anthology, A WORLD OF HORROR, even while working through a broken arm!! His style incorporates much vintage stipple illustration (dotting for depth), which amazes me with complexity, yet he seemingly creates the work with ease and panache. 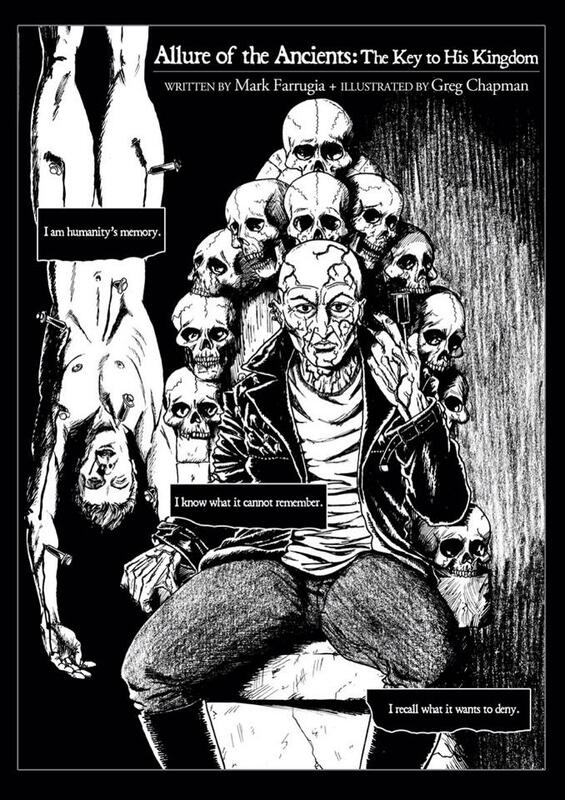 Nils finished illustrating my anthology THE FIVE SENSES OF HORROR last year. He has a rich vision of Gothic sensibility, combining gorgeous folk art with intricate designs and detailed artwork in mixed media. I recommend each of the above for their amazing craft and ease of working with. And if all the stars should align, I’ll have all new books published within the next few months showcasing each of these grand artists and their exemplary work! I’ve been keeping statistics since I started writing fiction for the sake of publication, as of February, 2011, so reaching #100 is definitely exciting. Granted, some of the earlier stories I wrote, I burn in shame over now, but such is growth. Additionally and coincidentally, I also received my 300th rejection yesterday, which puts my short story acceptance rate currently at exactly 25%. I also have 17 submissions that are out pending decision (6 of which are reprints) and another half dozen with no suitable home to submit, not to mention the couple dozen others sitting in the trunk drawer, of which I’ve given up on. My short story output has slowed these past eighteen months, as I’ve focused on writing my first novel (looking for a publisher, oh Big Name agencies! ), a collection (TBP this summer), starting up my own indie publishing company, DARK MOON BOOKS, www.darkmoonbooks.com, writing a PRIMER series to Dark Short Fiction authors, and editing another three anthologies, which I hope to publish this year! Additionally I’ve contributed a number of introductions, essays, and other non-fiction work. I haven’t updated my bibliography since November, 2017, but I keep it posted on my website, www.ericjguignard.com, here: http://ericjguignard.com/Assets/Bibliography.pdf. Description: Science Fiction and Fantasy stories in all sub-genres (No horror). Description: Fiction, nonfiction, poetry, activities, crafts, and recipes for the theme Inventions. Send us stories about objects or gadgets that intrigued you as a kid or that intrigue kids you know. Write about the origin of a toy, secret code or language, special technique or process, game or puzzle, school supply, musical instrument, or out-of-date technology. We’re interested in the gross and weird, silly and useless, and even fictional inventions. Especially welcome: works about inventions by kid inventors, women, and people of color. Description: Fiction, poetry, activities, crafts, and recipes for the theme Mysterious Monsters. Bring on the claws, sharp teeth, tails, and larger-than-life creatures. 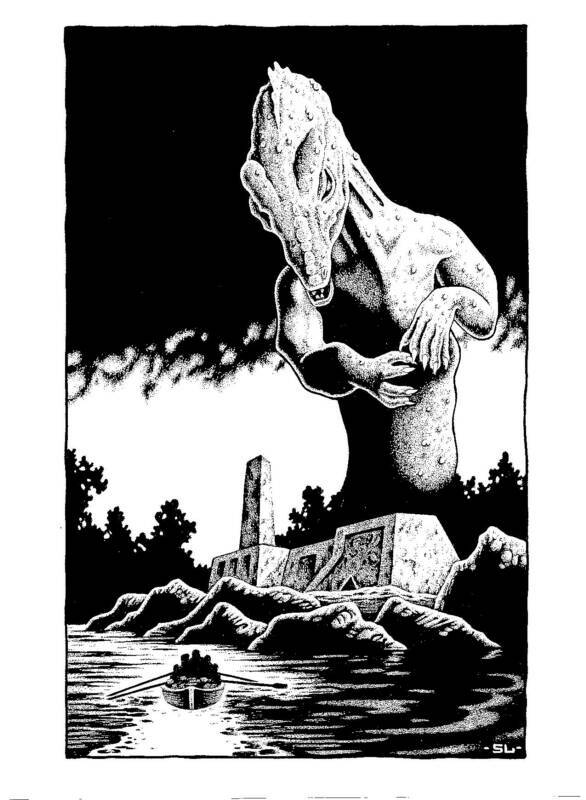 We’re interested in age-appropriate monster stories that introduce kids to old urban legends like river and lake monsters, the Chupacabra, and Big Foot as well as other creatures that go bump in the night—jumbies, trolls, poltergeists, giants, werewolves, vampires, zombies, or beings we’ve never heard of before. Send us your spooky ghosts and growling, howling beasts who might want to eat you or just be your friend. Description: Fiction, non-fiction, activities, and poetry for the theme Our Diverse World. We want stories about real or imaginary people with interesting hobbies, jobs, traditions, or inventions. We would like to see Black, Latinx, First Nations, East Asian, South Asian, and Middle Eastern children from first, second, or third generation families. Tell us quirky, funny, heartfelt, and lesser-known stories where race, ethnicity, class, culture, and ability might intersect. Description: All styles and sub-genres of speculative fiction stories with a strong humor element. Think Resnick and Sheckley, Fredric Brown and Douglas Adams. We welcome quality flash fiction and non-traditional narratives. Take chances, try something new, just make sure that your story is funny. This volume to include stories by Esther Friesner, Mike Resnick, Jack Campbell, Jim C. Hines, and Ken Liu. Description: Literary Magazine in Brooklyn seeks short fiction, nonfiction, and poetry. Slice aims to bridge the gap between emerging and established authors by offering a space where both are published side-by-side. The theme for this issue is “TIME” (Issue #24). Description: Interesting, fun, edgy, unexpected, or funny articles or fiction stories on all things fantasy-related (including all sub-genres). Description: Stories of human survival and defiance in a world subjugated by the return of the Elder Gods; stories about humanity under the reign of the Elder Gods and ancient terrors… character-driven stories set during a time in the future where the ancient terrors that once ruled the Earth have claimed complete and utter dominion of the Earth. We’re less concerned about the strict interpretation of the Elder Gods than good stories that deal with real human concerns. How do people survive? How does life change? Will people accept their new gods or will they rebel? What will it mean to be human in such a world of gods and monsters?